HomBot Square VRE610BKC . . . The HomBot Square VRE610BKC has a camera which captures the space and creates a systematical cleaning plan . The intelligent cleaning process ensures a faster cleanliness of your home. The LG is advanced enough, to be able to scan and clean rooms in the dark. The LG HomBot Square VRE610BKC can vacuum independently, but you also have the option to control it with the remote control. Settings can be made from the comfort of your couch. Want to choose another cleaning mode? No problem, just select decide via the remote control. You can choose different cleaning modes for your LG. You have the options to choose between Spiral mode, Path mode, or Zone mode. The HomBot Square VRE610BKC is great for animal hair from dogs or cats. It is extremely quiet during the vacuuming cycle and therefore does not disturb or stress the animals. 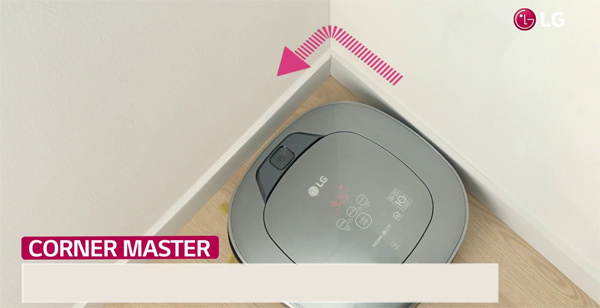 During the first vacuuming cycle, the LG is able to learn. The LG HomBot Square remembers the location of furniture, objects and other obstacles. 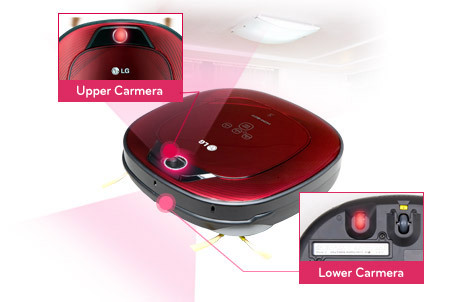 This enables the LG to clean faster and more effectively than many other vacuum robots. You can program the LG to begin vacuuming at a certain time of day. After vacuuming, it returns to the charging station and charges itself prior to the next cleaning cycle. You can test the HomBot Square VRE610BKC 14 days in your home. We give 2 years warranty and free support on all our robots.